To get the right size Manto jiu jitsu shorts, use your waist size. 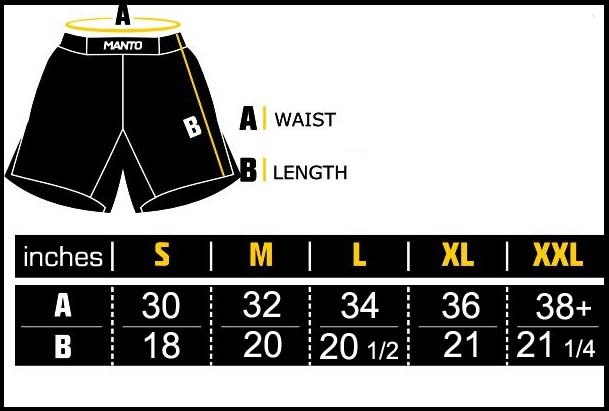 Manto shorts have an interrnal drawstring at the waist so adjust to your changes in weight. Email your friend about the Manto Pro "Dynamic" Black Fight Shorts. Ask a question about the Manto Pro "Dynamic" Black Fight Shorts.